One of the most confusing things about moving/installing a pool table is how to deal with stairs. 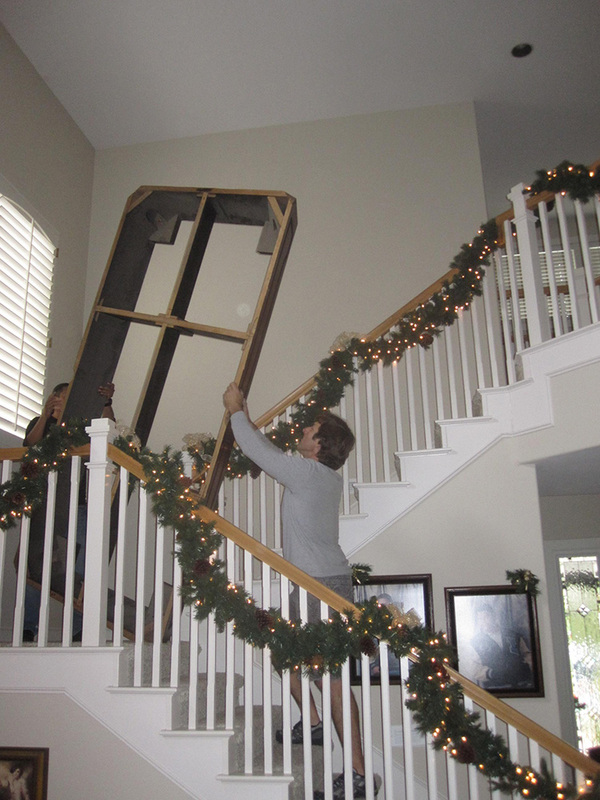 There are many variables that play into the logistics of moving a slate pool table when stairs are involved. First and foremost, we urge you to hire an INSURED professional. 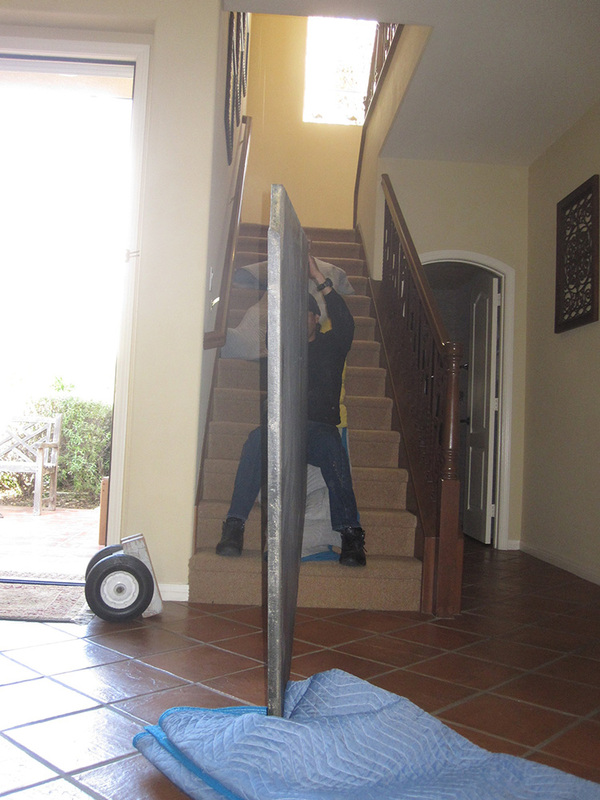 Moving a slate pool table, especially with stairs involved, is something that requires a great deal of experience to prevent damage to your property or injury to yourself. When booking a job requiring moving a pool table, there are a few things I always ask. First, what size is your pool table and is a one piece slate? Second, are there stairs involved? If you cannot answer one of these questions, it is impossible to give an accurate quote for moving services. Even when moving your pool table within the same home from room to room. A common answer I get to the first question is, “Um, it is a standard size pool table.” Unfortunately this doesn’t help me. There are different sizes of pool tables and knowing your measurements and whether you have a one or a three piece slate table can save you money and heartache. Stairs are tricky and the most complicated to quote an accurate price. Each flight of stairs is a little bit different from the next and each pool table requires different maneuvering. Some stairs are straight, others have difficult landings or incredibly tight turns. It makes a difference if you are going upstairs or down. Throw a one-piece slate into the equation and all goes haywire. Disassembling a pool table helps us move it safely and smaller pieces do ease the load. But even for the Pool Table King there is no “easy” way to deal with stairs. We must have the right amount of helping hands and tools to get the job done safely on the first try. So, please folks, bear with my repertoire of generic questions about your pool table and staircase layout. And, don’t fudge your answers. If you aren’t sure of the size of your pool table or number of slates, find out and call us back. We aren’t going anywhere. Your wallet (and our backs) will thank you greatly.